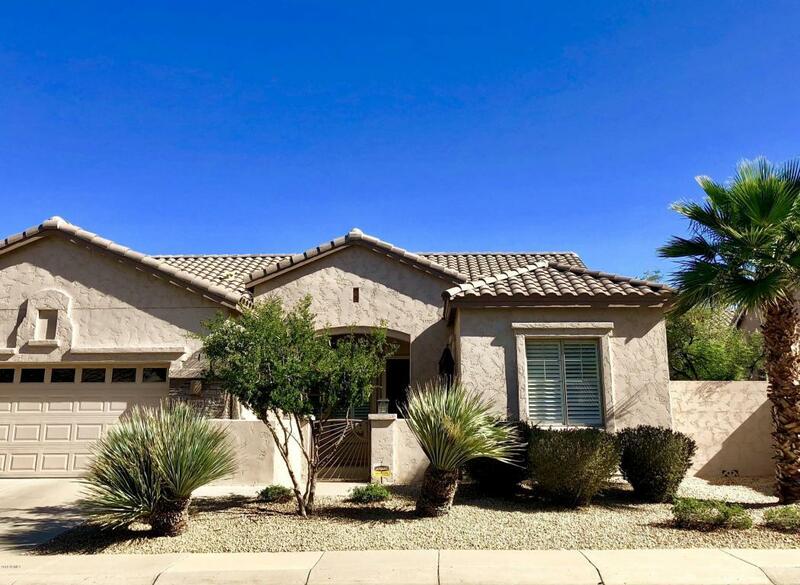 Pristine spacious single level great room master split home with courtyard entrance located in highly desirable gated community of Belmont at Triple Crown! Luxuriously appointed & recently updated throughout. Amenities include 18'' neutral diagonal tile, newer carpet, high end fixtures, stainless appliances, nickel hardware, plantation shutters, tumbled stone in baths, 10' flat ceilings, 8' doors and so much more! Extended patio, lush trees and north facing backyard for relaxing or entertaining. Community amenities include heated pool & spa, workout facility, covered ramada, grills, kitchen & walking paths. Conveniently located near grassy parks, shopping and 101 freeway.